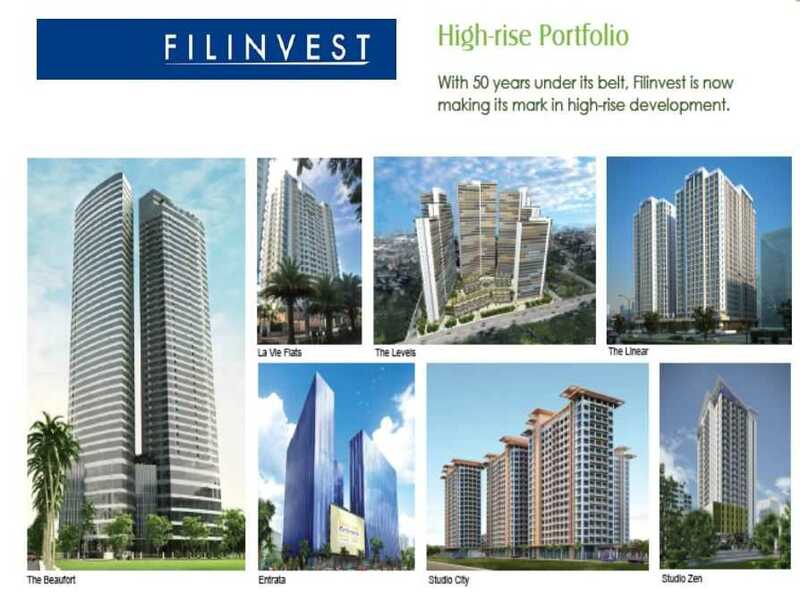 Developer Name Filinvest Land Inc.
100 West Makati is a new freehold mix development by Filinvest. 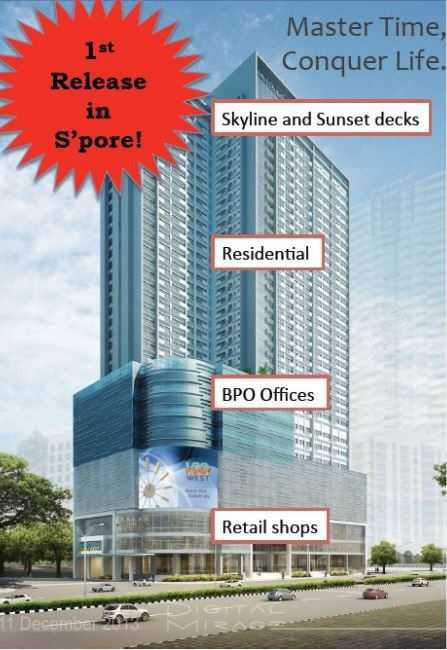 100 West Makati features a mixed development comprising retail, dining, office spaces as well as residential units. 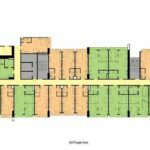 The development is located in the heart of the Central Business District, along Senator Gil Puyat Avenue at West Makati. It is in close proximity to Makati Medical Centre, numerous institutions and commercial establishments such as shopping hubs and entertainment hotspots. Educational institutions in the proximity includes Assumption College, University of Makati, Centro Escolar University, FEU Makati, De La Salle University Graduate School and Ateneo Professional School. Residents of 100 West Makati would also enjoy convenience at their doorstep with retail and dining outlets on the first 3 levels of the iconic development. 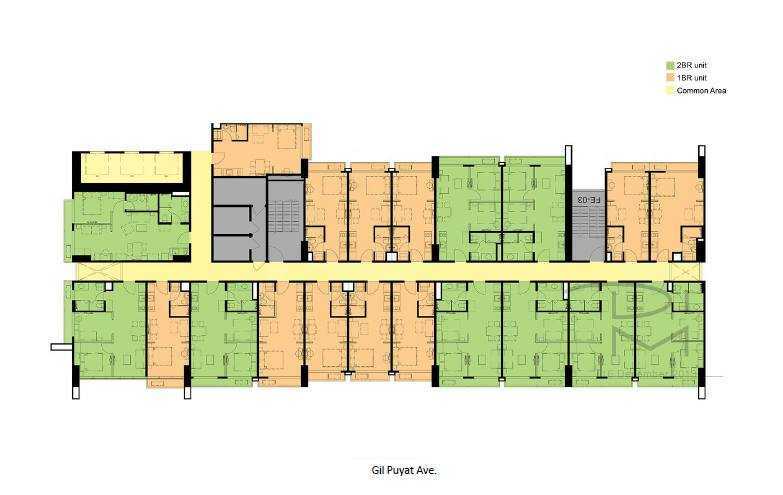 There will also be 4 levels of office space integrated into the development. 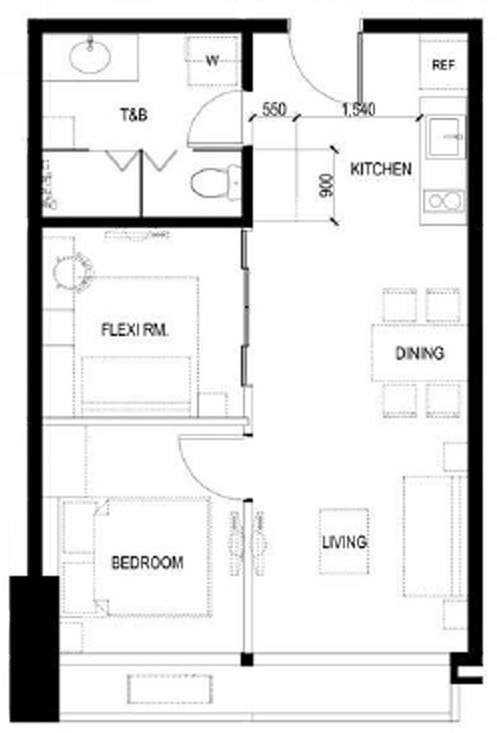 This provides a live-work-play concept for residence of 100 West. At 100 West Makati, you can expect to Enjoy the ultimate convenience of shopping and fine dining, right at your doorstep. Live, Work, Play under one roof in 100 West Makati – the perfect place to enjoy life at its fullest. Makati is located right at the center of Metro Manila and is one of the sixteen cities that make up Metro Manila. Being the financial centre of Philippines, it has the most concentration of local and foreign corporations, major banks, department stores and foreign embassies in the country. Philippine Stock Exchange is located along the Ayala Avenue in the city. Makati, known for being a major cultural, shopping and entertainment hub in Metro Manila, is also the shoppers’ paradise with the presence of shopping centers housing both local and international retail shops, dining outlets, high-end boutiques and entertainment facilities. The population of Makati City is slightly above half a million. However, during a typical working day the daytime population is estimated to be more than one million due to the large number of people who coming to the city to work, shop or engage in business. FLI was incorporated on November 24, 1989 as Citation Homes, Inc. and changed its name to FLI on July 12, 1993. It began commercial operations in August 1993 after FDC spun off its real estate operations and transferred all related assets and liabilities to FLI in exchange for shares in FLI. FLI was listed on the Philippine Stock Exchange (PSE) on October 25, 1993. FDC remains FLI’s largest shareholder, beneficially owning approximately 51% of FLI’s outstanding common shares and all of its outstanding preferred shares. 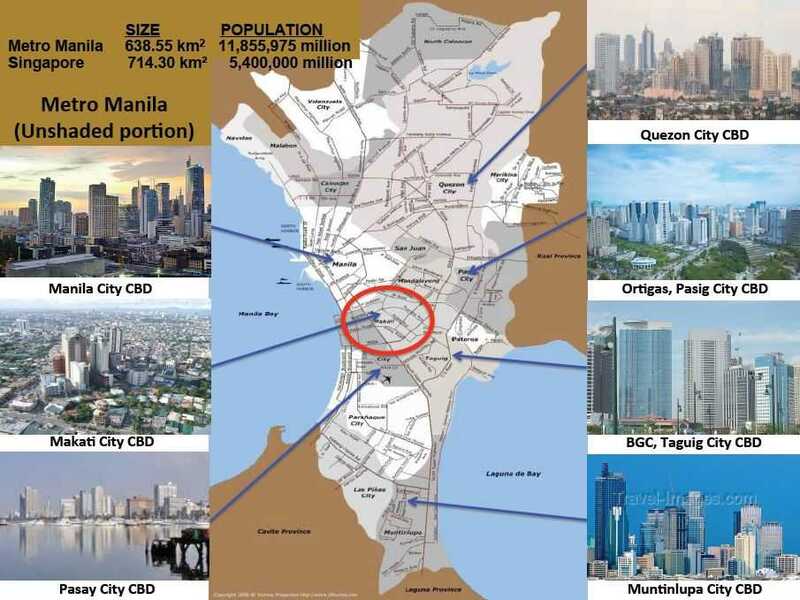 Why Invest in Metro Manila, Philippines? Billions were set aside for agriculture, transportation, housing, medical and boost tourism. Entertainment City to attract 10 million tourists yearly (Dept Of Tourism). 82% of Filipino speaks and understands English. Making business convenient and efficient. 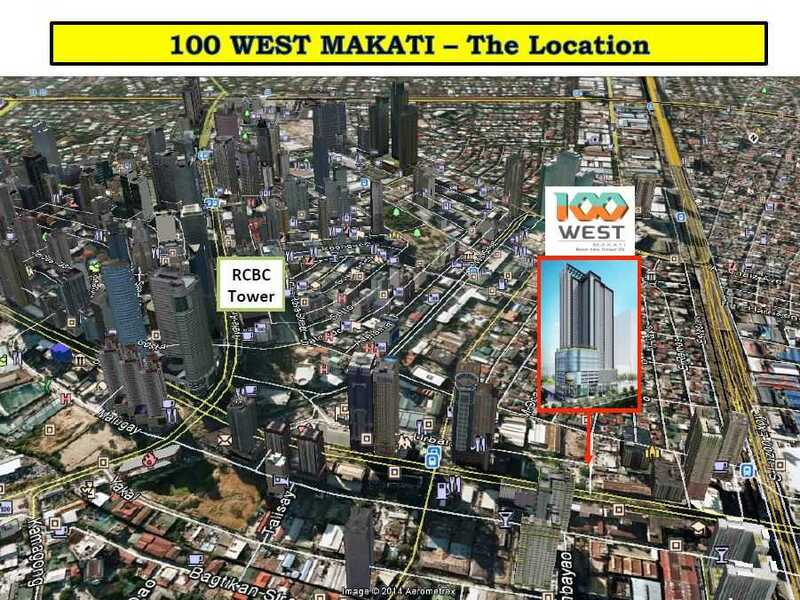 Why 100 West at Makati, Philippines? 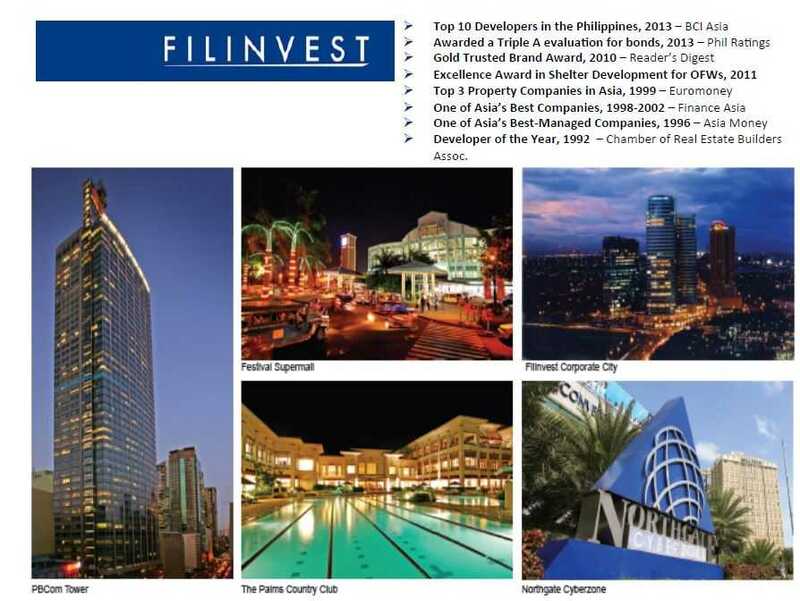 Reputable Developer – Filinvest. The Top 10 Developers in Philippines, who also own EastWest Bank of Philippines. The Metro Manila comprises of 7 CBD, Makati is being one of the Most Vibrant CBD among all.